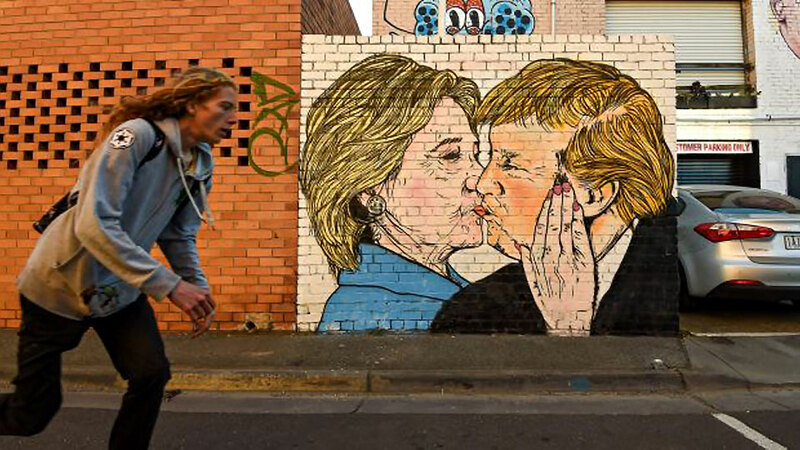 A fresh piece of street art has gone-up overnight in Gwynne Street, Cremorne showing Hillary Clinton and Donald Trump getting it on. The best piece of election coverage I’ve seen. Check it if you’re in the hood and give Lushsux some ups. Photo: Justin McManus.